Last weekend we celebrated our anniversary at home with our family and my husband surprised me with this beautiful and very unique arrangement of flowers from a local florist called Indigo. I found it so unusual, I had to photograph it and share it with you. It's pretty cool, right!? Even though I've lived in Germany for nearly three years, I'm still surprised by how often I stumble upon things that still feel so new to me. 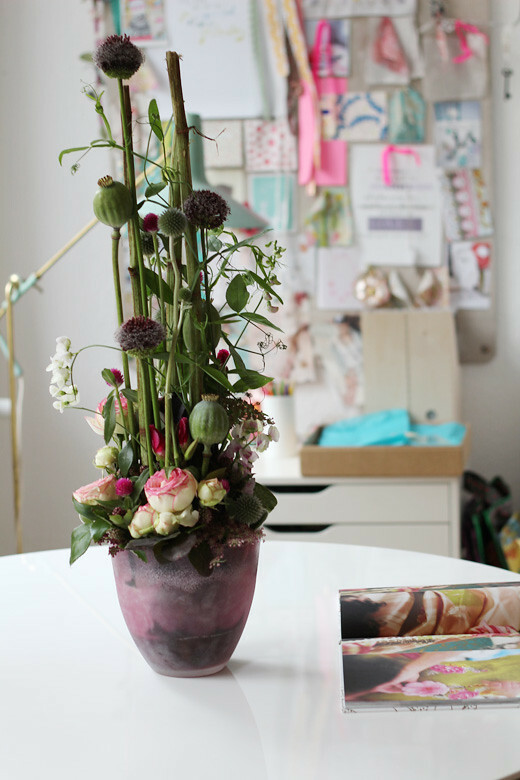 I've never seen an arrangement like this before and find the way that some German florists create arrangements to be so fascinating and not at all typical. It's fun to see such creativity and inspires me to experiment more too and to venture outside of the box. 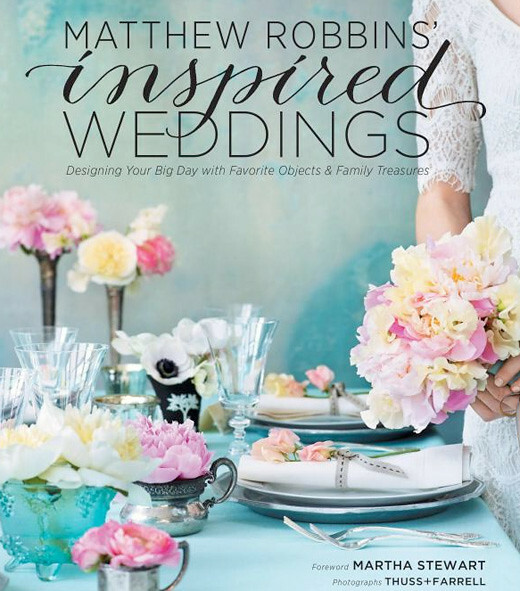 Speaking of flowers, I was recently sent a copy of Matthew Robbins' new book, Inspired Weddings, and am completely smitten by it. Everything about his work and his book make me tingle from top to bottom. It's a masterpiece. Good work, Matthew - you really nailed it and gave us what was missing out there. 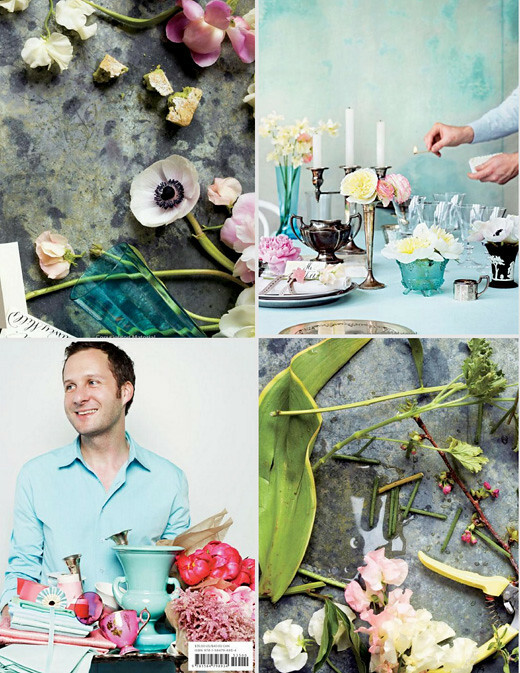 If you love party planning, color, flowers and are in need of a fresh perspective then I highly suggest picking up a copy of his book which is currently available on Amazon. Wow, what an unbelievable book, really!